This month we said farewell to Kaiwen Chen, who leaves the Inflammasome Lab for an exciting Postdoctoral position in Petr Broz's Lab in Switzerland, and Jennifer (Cookie) Dou who is embarking on an exciting new career in animation. We are sad to see Kaiwen and Cookie go, but are excited for them for their new adventures. Kaiwen completed his undergraduate studies in Singapore and moved to Brisbane in 2009. After completing his Honours in Professor Alastair McEwan’s laboratory at The University of Queensland investigating metal acquisition during pathogen virulence, he began a PhD in the Inflammasome Lab. 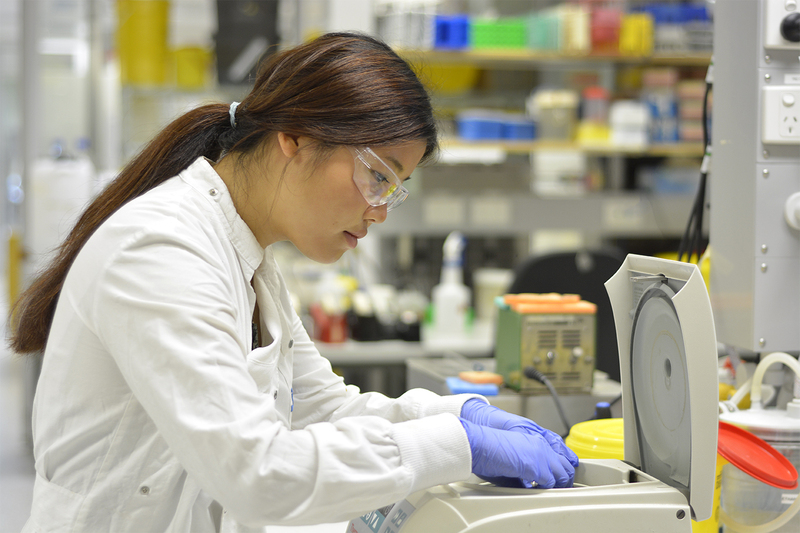 Kaiwens' PhD and Postdoctoral studies involved characterising inflammasome functions in neutrophils. 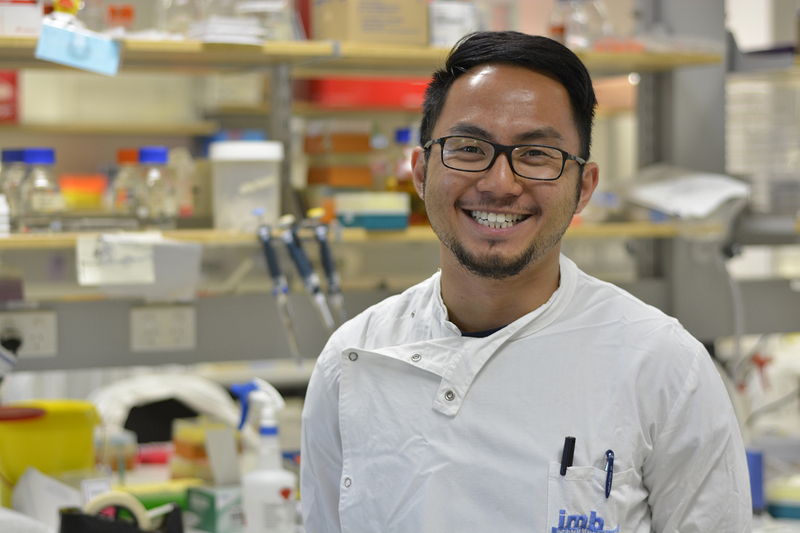 During his time in the Inflammasome Lab Kaiwen achieved 4 first author publications including 2 original research articles, a review and book chapter, with more to come. He also co-authored 7 other articles. Jennifer received her Bachelor of Science at Swarthmore College, where she wrote her senior thesis on the influence of endocrine disruptors on rodent behaviour. Prior to joining the Inflammasome Lab in 2016 as a Research Assistant, she worked extensively at the National Institute of Mental Health’s Lab of Molecular Pathophysiology in the United States. Her project involved the influence of co-chaperone protein BAG-1 translocation to the mitochondria on cellular apoptosis and mental health disorders. In the Inflammasome Lab she has been a lab manager, and published 1 original research article developing new inflammasome inhibitors as potential dual anti-inflammatory and anti-diabetic drugs. Photos are of Kaiwen and Cookie.